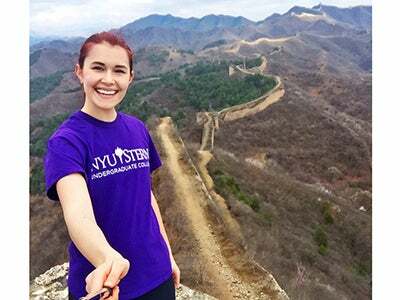 Undergraduate student Quincy Korte-King blogs about studying abroad at NYU Shanghai. I truly believe my time in China has made me a better person. I'm definitely more patient, understanding and confident. I have an even larger appreciation for new cultures, and my Mandarin has exponentially improved. Welcome to my third blog installment! I can’t believe I only have a few weeks left in China, the semester has absolutely flown by. A lot of important events have happened since I last posted. 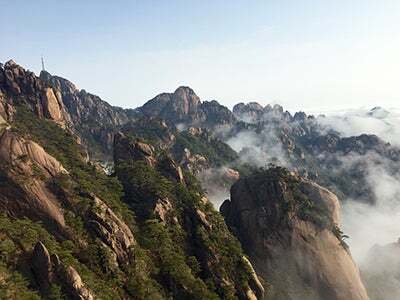 I've travelled to Huangshan, Beijing, the Great Wall and Tokyo. 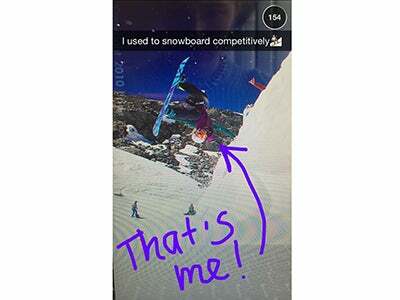 I've gone through midterms and some very important school presentations, and I had the awesome opportunity to take over the NYU Stern Snapchat account. You’ve probably noticed that my blogs have been very travel-heavy. The great thing about China is that you can travel pretty inexpensively (if you plan accordingly). 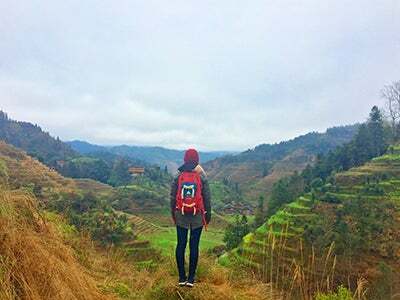 Through my time here, I've learned how to appreciate a good hostel, find the best deals on Chinese travel sites and navigate public transit from booming metropolises to the most rural of farm towns. Yes, I've been the only Westerner on a bus of locals travelling with their livestock from prefecture to prefecture, and it was awesome. 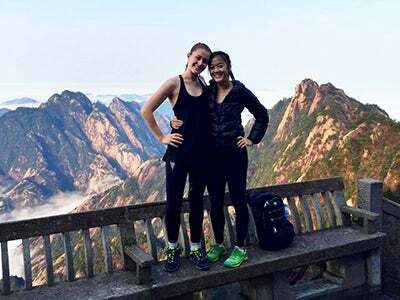 While in Huangshan with fellow Sternie Claire Huang, we climbed seven miles worth of uphill stairs only to be stuck in a cloud and pouring rain. Needless to say, we were quite frustrated to have travelled from Shanghai to stare into a grey abyss. But, the next day when we woke up at our mountaintop hostel, the clouds had lowered, and the views were incredible. 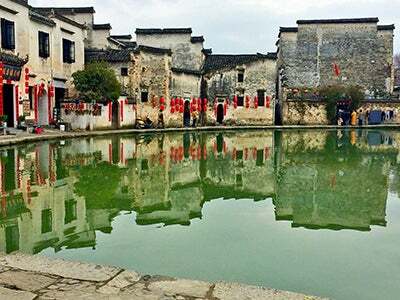 While in Beijing, I travelled to a farmer's village called Gubeikou about three hours outside of the city, right at the foot of the "wild" Great Wall. I stayed there for two nights by myself at a really incredible hostel, but, because it was low season at the time, there wasn't a restaurant to be found at lunchtime. That's when I took it upon myself, in my very broken Mandarin, to ask a local farmer if she would sell me any food. She then proceeded to make me an enormous and delicious lunch made up of traditional Chinese dishes. 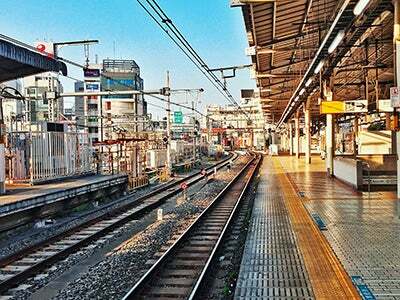 In Tokyo, I had the opportunity to visit and stay with a friend currently living there. It was incredibly cool to be able to meet up on the other side of the world! I was amazed by how clean and polite the busy city is. It reminded me a lot of New York, but a much less chaotic version. 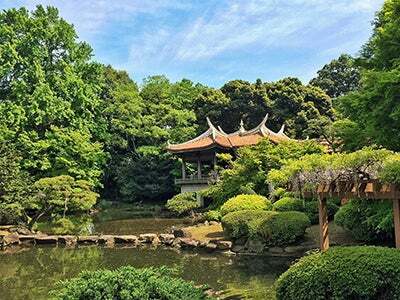 For anyone thinking of travelling Asia, I would highly recommend a stop in Japan. I liked it so much that I didn’t want to leave! I have had so many amazing experiences so far, but this isn't to say that everything has gone smoothly... I've had my camera stolen, my hard drive crash (with all my pictures), and dropped my phone in a public toilet to name a few. I'm pretty sure I've managed to check off almost every rite of passage that’s associated with a teenager travelling alone. However exasperating these bumps in the road were at the time, I got through them, and they've made every other success that much sweeter. And now that I've had time to reflect on all the issues I've run into during my time abroad, I realize I'm pretty lucky to even have these first-world problems. I feel like this is heading in a pretty cliché direction, but I also think this is a large part of what studying abroad is about. I truly believe my time in China has made me a better person. I'm definitely more patient, understanding and confident. I have an even larger appreciation for new cultures, and my Mandarin has exponentially improved. In the coming weeks, I’ll be handing in all my final assignments and writing finals. Once that’s done, I have a couple days before I head back to Canada to hit all the places in Shanghai I’ve been meaning to see. I will definitely be sad to go, but also can’t wait to get home to see my family. I’ll let you know how it all goes in my final post! Hello! So much has happened since my last blog post! I feel as though I have truly settled into living in Shanghai, school has really gotten into the swing of things (midterms are coming up next week) and I’m starting to step out of my comfort zone with my (limited) Mandarin. Since I last wrote, I had the chance to travel to Vietnam for Spring Festival, as well as Guilin and Yangshuo in Guangxi province last weekend. My suitemate, Sally, and I headed to Vietnam to explore Hanoi, Ho Chi Minh City (or Saigon), and Halong Bay for ten days. 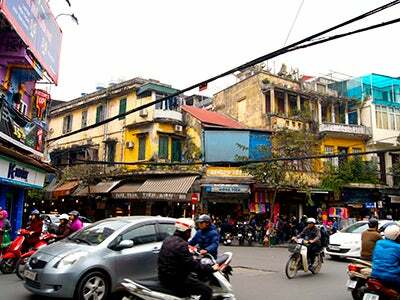 The cities in Vietnam are unlike anything I’d ever experienced before. The energy and noise is nonstop, the food is incredible and the people are very friendly. 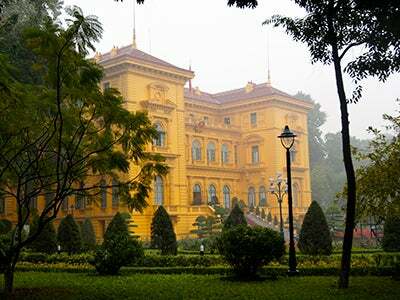 Hanoi is a very historical city and also the capital of Vietnam. 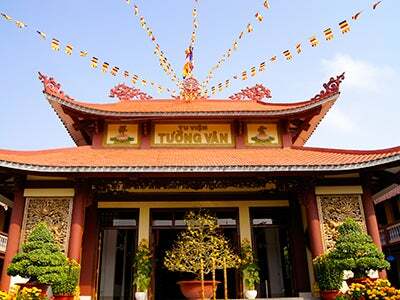 There are many political and historical landmarks that we hit, such as the Temple of Literature, the Ho Chi Minh Mausoleum and the presidential palace. The streets in both Hanoi and Saigon are absolutely packed with scooters, street food and backpackers. When in Saigon, we took a boat trip along the Mekong Delta. 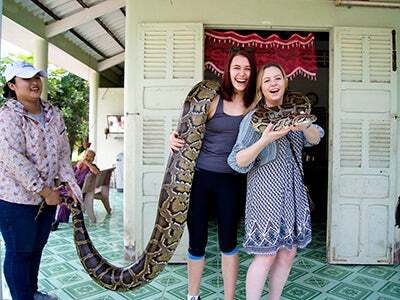 We got to see the stilt house communities on the banks of the river, visit local markets and Buddhist temples, as well as hold a Python at a local snake farm (maybe not the best idea in hindsight). We also got the chance to visit Halong Bay, a World UNESCO Heritage Site a few hours out of Hanoi. Halong was absolutely beautiful and gave us a view into the amazing nature of Vietnam. 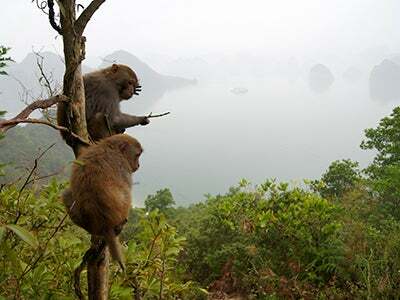 While in Halong, we hiked through caves, saw monkeys and kayaked through the limestone mountains that pepper the waters. After Vietnam, it was back to school where we wasted no time in class. Our first Organizational Communication presentation was due our first day back. Being able to work ahead and manage your time well is truly a HUGE advantage while studying abroad. Luckily I did extremely competitive sports throughout high school that taught me how to juggle my academics. 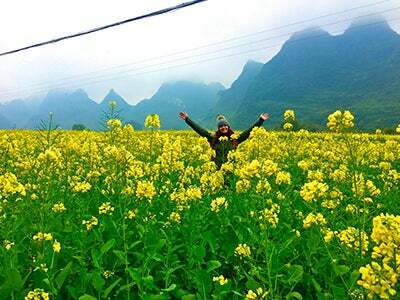 This past weekend, I travelled to Guilin and Yangshuo with my roommate Sarah. I cannot tell you how blown away I was, and pictures cannot do it justice. 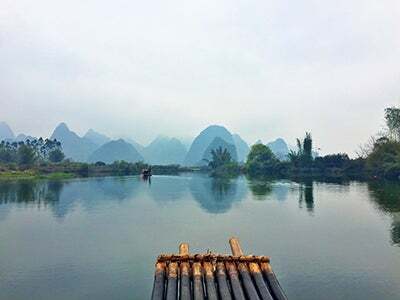 This region of Guangxi province is filled with limestone “finger” mountains, similar to those in Halong Bay. I felt as though I was on the set of Avatar. 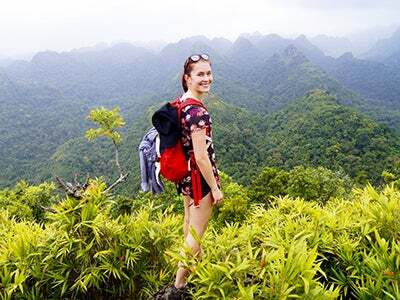 While there, we hiked the Longji Rice Terrace, took a bamboo raft down the Li River and hiked up a peak overlooking the town of Yangshuo. We left right after class on Thursday and came back Sunday night. Every day, we made sure to set aside a few hours to work and study and used our travel time wisely for school-assigned readings. The trip really pushed me to use my Chinese, given that there are not many people who speak English in this region. 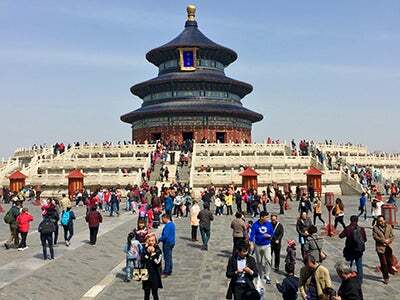 If you are heading to China, I cannot recommend a stop in this area enough. The landscape is incredible, and the hiking and outdoor activities will fill your days with fun. I do think about New York sometimes and miss the little things, like the ease of walking to the bodega around the corner for a bagel or being able to run along the Hudson River for miles. But, this experience has truly made me realize that New York City is not the center of the world, and China has so much to offer. My name is Quincy Korte-King, and I'm a sophomore studying finance and marketing. 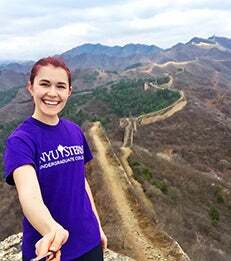 I'm currently studying abroad at NYU Shanghai and will be blogging about my experience and journeys here. I’m hoping to explore China as much as possible while here and can’t wait to take you virtually along with me! I've now been in Asia for three weeks and they've gone by in a whirlwind! I started my trip to Shanghai with a three-day layover in Hong Kong. This gave me time to explore the city and get a taste of Asia. This was my first time in Asia as well as my first time traveling completely alone. 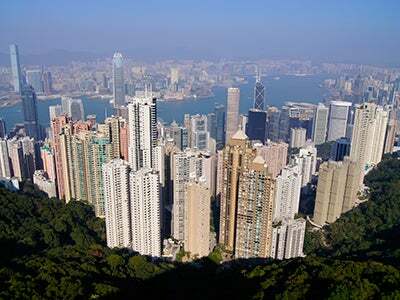 I think Hong Kong was the perfect introduction because of its international atmosphere and amazing public transportation. However, even after living in New York, I was overwhelmed by the crazy number of skyscrapers in Hong Kong. 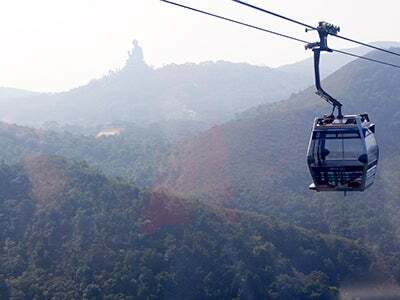 While in Hong Kong, I made it a point to see as many attractions as possible. 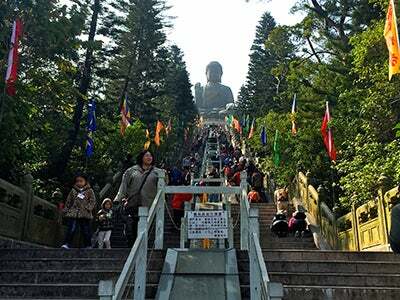 I explored the outdoor markets of Kowloon and the botanical gardens, took pictures with Tian Tan Buddha, visited a Buddhist monastery, went up Victoria Peak, took in the view from the highest bar in the world and even found time to have lunch with a fellow Sternie! After my adventures in Hong Kong, it was off to Shanghai to meet up with my friends and begin NYU Shanghai orientation. 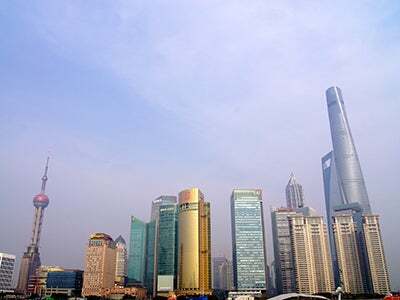 The NYU Shanghai campus is situated in Pudong, the Eastern side of the city, in the middle of the financial district. The building just opened this year and is beautiful. As part of orientation, NYU organized a number of group events so all of the study-away students could get to know each before classes started. 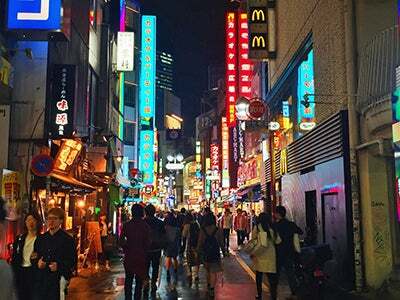 This included a city scavenger hunt, a KTV mixer and – my personal favorite – a hot pot dinner at a famous Shanghai restaurant in Times Square. Since classes have started, I’ve also gotten the opportunity to explore a couple of different areas of Shanghai. 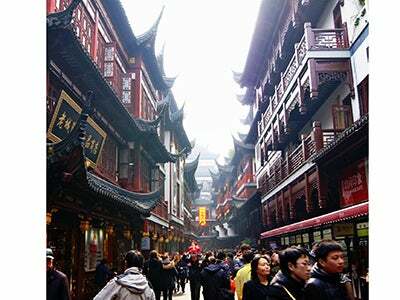 My roommates and I took our first weekend to discover old town Shanghai and the Bund. Unfortunately, that weekend also happened to be extremely smoggy. 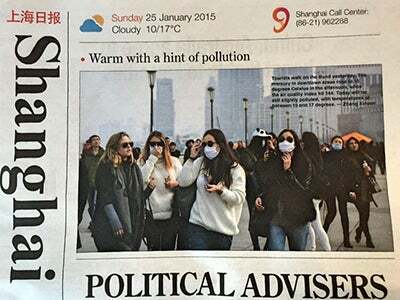 We made it onto the front page of The Shanghai Daily for being tourists and wearing our facemasks. We didn’t even know the picture was being taken! 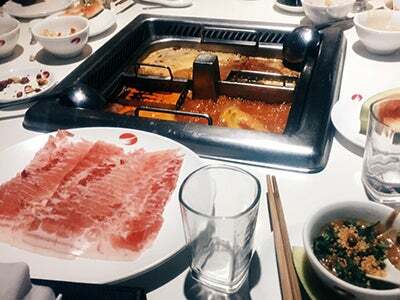 One of my favorite parts of Shanghai has also been the food. It’s amazing, and cheap (if you choose wisely). 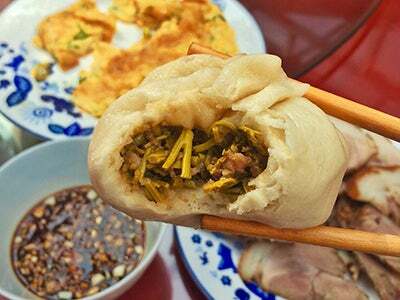 I have quickly become addicted to pork buns, and there is conveniently a restaurant with amazing fresh baozi (steamed buns) just a few minutes from our apartment. Next week, NYU Shanghai will have a break for Chinese New Year. 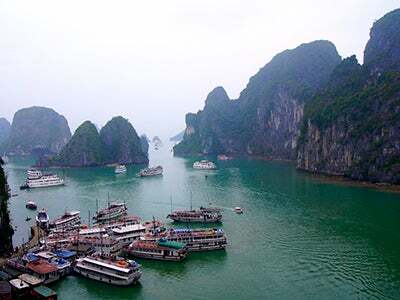 One of my roommates, Sally, and I will be headed to Vietnam to explore Hanoi, Halong Bay and Ho Chi Minh City. 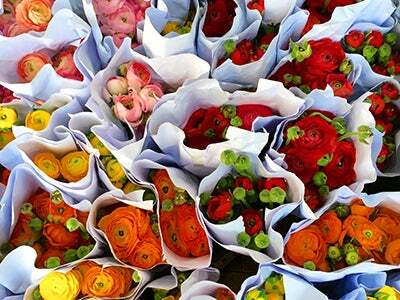 It’s also going to be Tet, which is Vietnamese New Year, while we’re there. I’m sure it will be quite the adventure, and I can’t wait! I’m hoping to travel through China as well, when my school schedule allows for it. So far on the list, I’ve got Guilin, Beijing, Huangshan, Xi’an, and Hangzhou. We will see where I end up! See you in Vietnam! Zàijiàn!